As the days start to get lighter and the temperatures slowly rise, March begins to entice us with a glimpse of the upcoming summer, inducing day dreams of long afternoons on the beach. So, why not fast forward and bring the summer to you sooner with a holiday abroad? Whether you’re hoping for stunning white sands in the Indian Ocean, Thailand or the Caribbean, or perhaps a low-season safari with barely any other vehicles in sight in Africa, the transitional season in March makes this month one of the best for escaping the crowds in your home town and heading to, well…even less crowds in another part of the world. We’re sure no matter the time of year, you wouldn’t say no to a trip to paradise. But if you’re looking for days full of sunshine, warm seas, and pretty much no sign of rain, we couldn’t recommend the Maldives in March more. 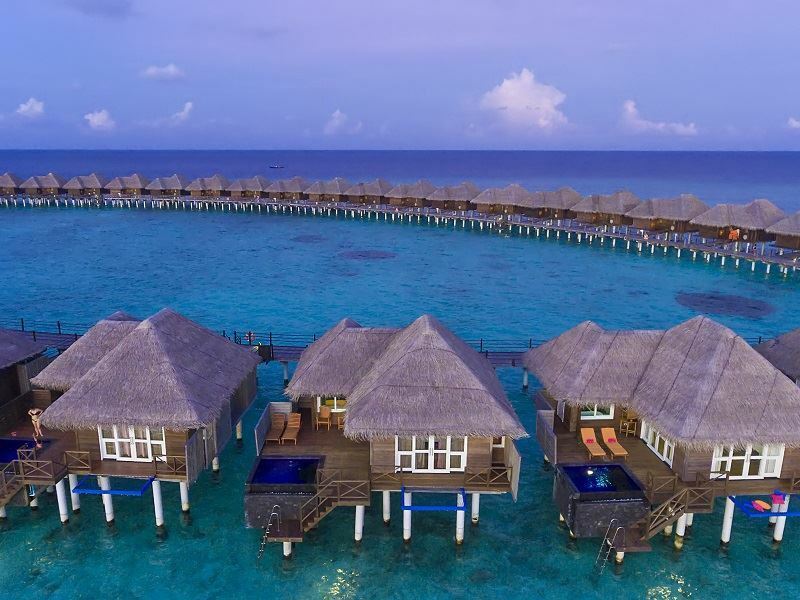 A picture-perfect archipelago with sugary sand beaches and swaying palms – the Maldives in considered a year-round destination, but the dry season is certainly a cut above the rest. Clear blue skies reflect beautifully against the bright azure of the Indian Ocean, with crystal-clear waters offering the perfect temperature for days spent snorkelling and diving. Given the time of year, this is perhaps the Maldives’ most popular time. But with so many stunning resorts nestled on their own private island, you’ll still feel wonderfully secluded. With such pure waters, March presents one of the best times to stay in a classic Maldivian over-water villa…though we figure you don’t need much convincing anyway. Stay in a Water Villa at Pool at Sun Aqua Vilu Reef and you can spend your afternoons relaxing on a hammock suspended over the water, looking out for tropical fish swimming beneath you. Nestled on Meedhuddushi Island, the resort itself is tranquil and naturally stunning. The Maldives may conjure up an image of simply unwinding on a pristine white beach with a cocktail in hand, but it’s a popular destination for water sports, too. The hot temperatures are ideal for cooling off in the sea, or venturing to Shangri La Villingili Resort & Spa for an epic boat trip to see wild dolphins. This remote retreat is ideal for honeymooners and families alike, with rustic décor and plenty of charm. Dubai and the Emirates are a classic choice for families looking for sun, sea, sand…and desert. With pretty much only two seasons – hot and hotter – those travelling with young children will certainly relish the slightly cooler temperatures that March brings. This time of year is ideal for beach worshippers, with only small patches of morning rain making way for the perfect amount of heat and sunshine for sprawling on the sun lounger with an All-Inclusive drink in hand. A slight breeze will be needed for exploring the Emirates’ rich heritage and culture too, whether that be exploring the magnificent souks and dune bashing in the desert, or marvelling at the over-the-top, extravagant malls. Don’t forget dining under the stars. Stay at Le Royal Meridien and wander along to Al Khaima for the most delicious al fresco Arabian dining experience, after spending your days dipping into the four pools, indulging in a treatment at the Roman themed Caracalla Spa, or strolling along the Jumeirah Walk for a dose of Dubai’s culture. With such perfect weather, it’ll come as no surprise that Dubai is a very popular destination this time of year. 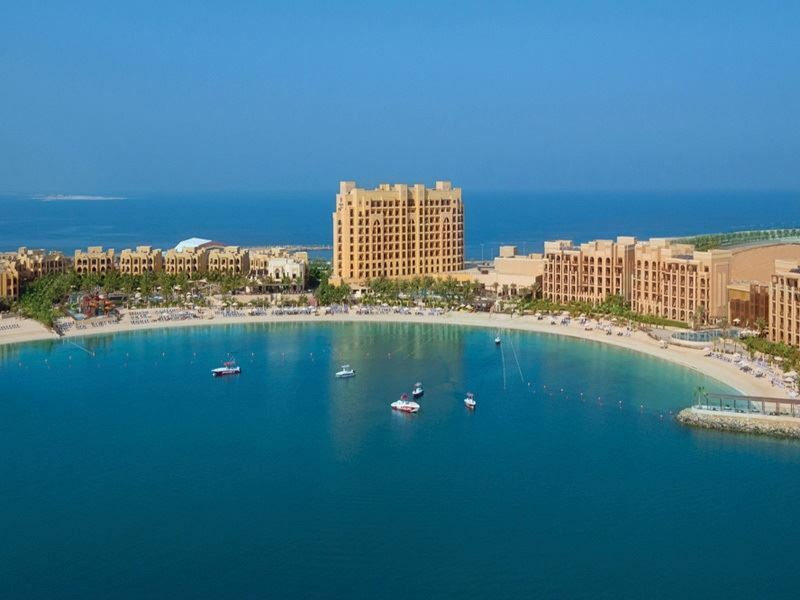 To disperse the crowds just a little, we’d suggest heading just an hour out to Marjan Island, Ras Al Khaimah’s first manmade archipelago that has made its name as one of the UAE’ most prestigious locations. 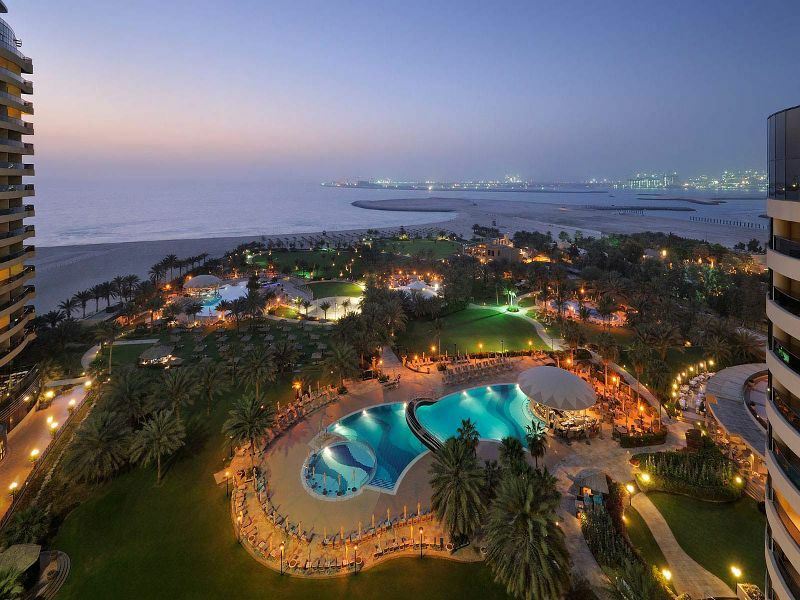 DoubleTree by Hilton Resort & Spa, Marjan Island is a beautiful and indulgent hotel, brimming with trendy bars, luxurious Arabian-style touches, and fantastic cultural activities for the kids. March in the UK is still a pretty cold and grim, and so it’ll come as no surprise that many decide to pack their bags and escape to a warm country for a dose of vitamin D. Antigua’s steadily rising temperatures, dazzling white sand beaches and friendly charm is certainly an enticing option for those looking for a bit of R&R. 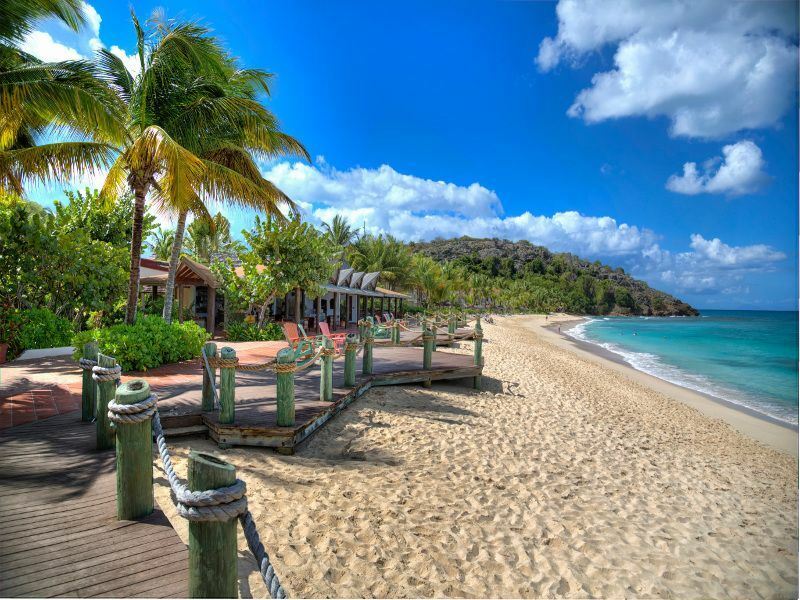 Those hoping for a bit more than simply laying on the beach will relish travelling to Antigua in March. The temperature is cooler than the sweltering heat that the height of summer brings, making it more bearable to stroll along the sandy beaches, explore Shirley Heights, enjoy a scenic catamaran cruise, or indulge in a few water sports. The sun-drenched island is home to a wide range of wonderfully remote All-Inclusive hotels, ideal for those hoping for an easy and simple getaway to the Caribbean. Galley Bay Resort & Spa sits between a three-quarter mile stretch of stunning white sand beach and a bird sanctuary lagoon, offering intimate cottages nestled amidst gorgeous, colourful gardens. After days spent partaking in fun water sports or treating yourself to spa therapies, wander along to The Gaugin Restaurant to dine on freshly-caught seafood right by the ocean. 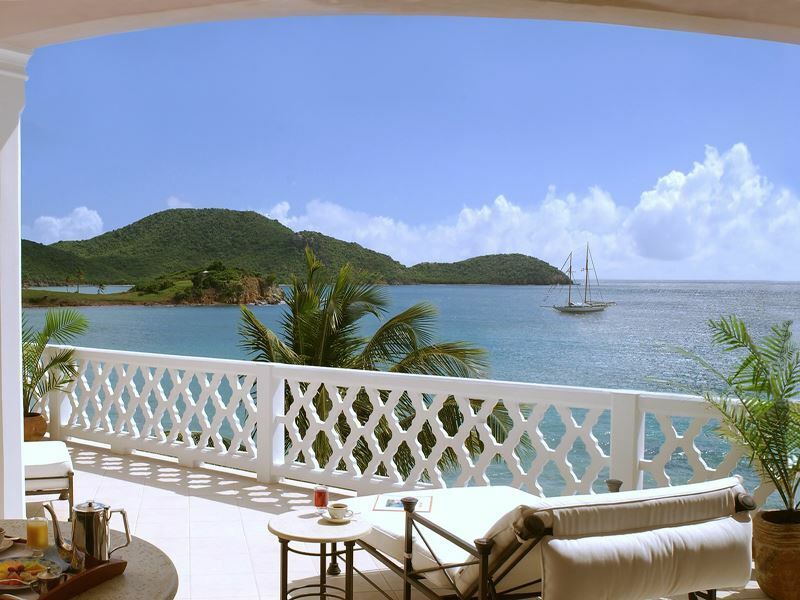 Curtain Bluff is just as secluded and stunning, overlooking two beaches and perched atop a rugged peninsula. Enjoy the island lifestyle at a leisurely pace here, indulging in a few lie ins in your nautical-inspired suite, tucking into a flavoursome Italian menu at The Sea Grape, and sipping exquisite wines in the hotel’s wine cellar. Kenya truly comes to life in March. 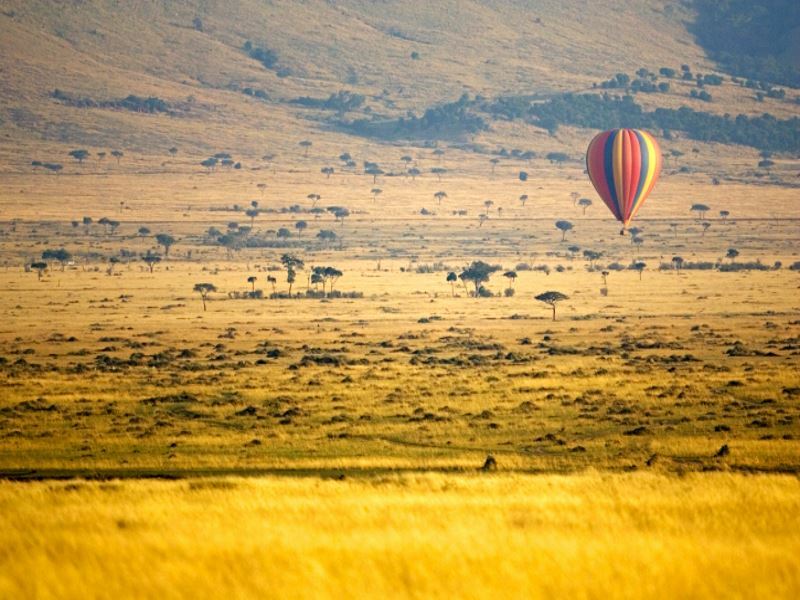 Landing at the beginning of the long rainy season, Kenya’s landscape is transformed into a verdant oasis abundant in colourful flora and stunning luscious plains – the ideal backdrop for your photo album. Generally, the thought of rain steers many away from Kenya at this time, thanks to the idea that lush vegetation and lots of water means the animals are less likely to roam near to your vehicle. Nevertheless, you’ll still be graced with just as many wonderful wildlife encounters as you would any other time of year – and the rain is only short and patchy, and will rarely compromise your safari. Those travelling to Africa most likely dream of remote safaris with no one else in sight. Sound familiar? Kenya’s low-season will grace you with wonderful, long game drives where you’ll feel like the only humans on earth amongst Kenya’s incredible wildlife. Vibrant migratory birds swoop overhead, whilst wobbly giraffe calves and playful lion cubs can be seen in the near distance. Kenya truly comes to life during March, and it’s one of our favourite times of year to travel here. Whether you’re looking for a unique destination to take the family, a romantic escape for an adult-only getaway, or a luxurious resort on an equally as beautiful island, Thailand has it all. Nestled at the very end of the dry season and the beginning of the hot season, heading to this utterly stunning country in March gives you the best of both worlds. Arrive to this island paradise at the beginning of the month, and you’ll be graced with slightly cooler temperatures – which we think are perfect for days spent on the beach with a cocktail in hand. You’ll miss the monsoon in April too, leaving you with clear blue skies as you snorkel in the crystal-clear waters and tuck into delicious authentic cuisine poolside. Thailand is ideal for an idyllic getaway for two. Journey to the gorgeous island district of Koh Lanta and you’ll find astonishing coral-fringed beaches and breath-taking limestone outcrops – a picture-perfect backdrop for a holiday of romance. Layana Resort Koh Lanta is one of our favourite boutique adult-only resorts, offering a relaxed atmosphere and the stunning Linger Longer Spa, with holistic treatments to revitalise the mind, body and soul. Sometimes the family just needs a well-deserved break, and where better to take them than cultural, beautiful and fun Thailand? 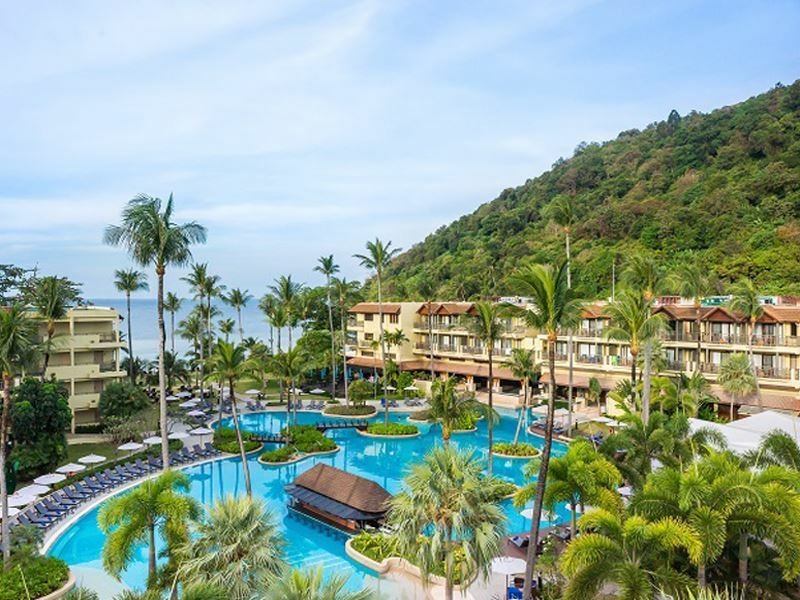 Phuket Marriott Resort & Spa, Merlin Beach is an excellent choice, with a trendy teen zone and a super-cool family pool with water features to keep every generation happy. 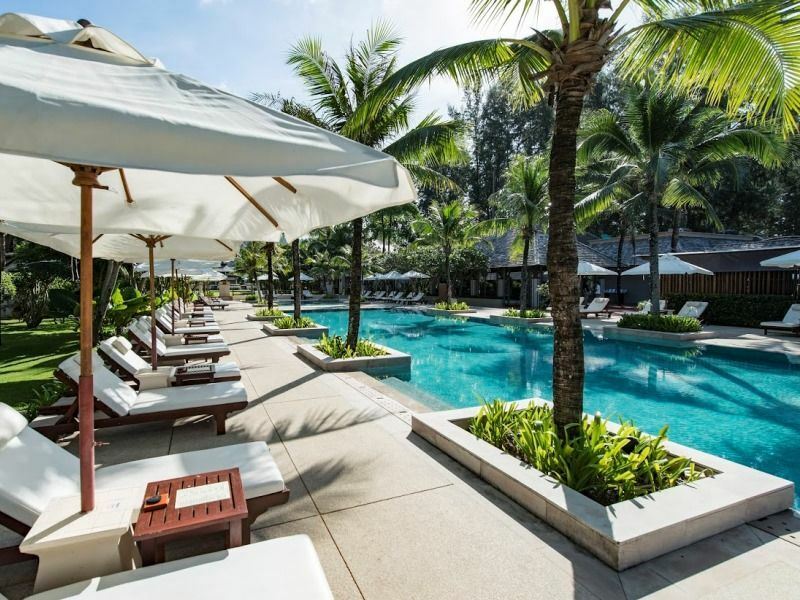 After a day of water sports, meeting new friends – and a bit of R&R for mum and dad, of course – wander along to the Merchant Kitchen for a tasty al fresco meal, or take the kids to Thai Pantry for an authentic taste of local cuisine.